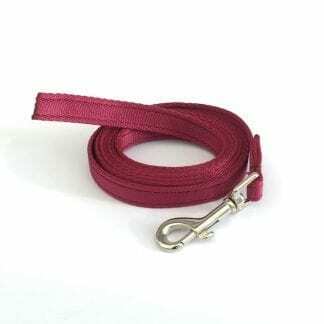 Traditional good old fashioned Slip Lead made from polypropylene webbing. Length approximately 1.25 metres. 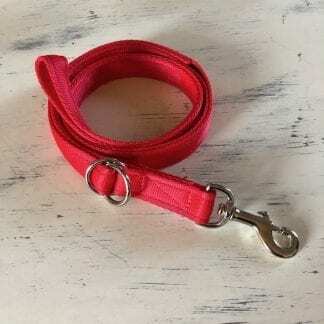 Comes in lots of colours and can be made with a solid brass harness ring (O rings) as well as the standard nickel ones. Ideal to be used as a safety lead when security is paramount. Popular with dog rescues and dog walkers. 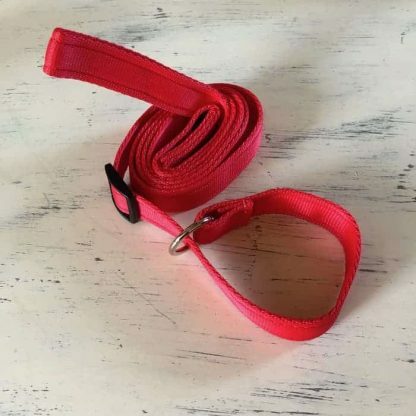 Traditional Slip Lead made from polypropylene webbing. Length approximately 1.25 metres. 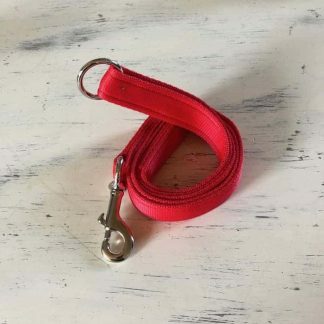 Comes in lots of colours and can be made with a solid brass harness ring (O ring) as well as the standard nickel one. Ideal to be used as a safety lead when security is paramount. Sits in a figure of 8 over the dog’s nose and around its neck. Features a stopper to prevent the slip lead from coming loose. Lead sits ideally behind one of the dogs’ ears on the left or right depending on which side you are walking him. 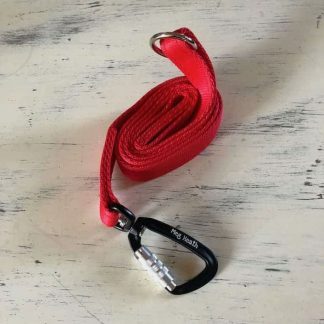 This lead can be used to walk the dog on the left or right. 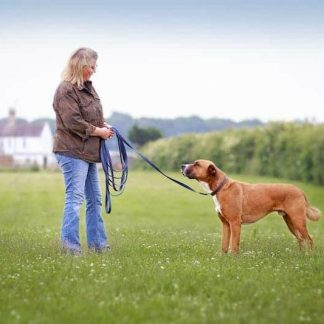 Handy leads for use in kennels, catching dogs in the rescue environment and general walking.